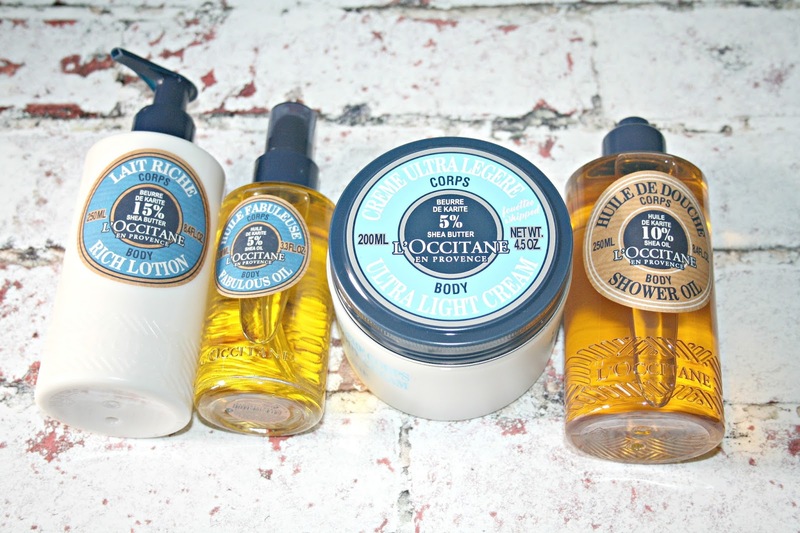 One of my favourite brands - L'Occitane have taken one of their most iconic ingredients and have released a brand new range of products which are literally just incredible. If you have never tried anything from L'Occitane before, then I urge to you give this range a try, it is so so good. Within the Shea Butter range there is the brand new Ultra-Light Body Cream and Shea Shower Oil and not wanting a few products to be feeling left out, both the Rich Lotion and Shea Fabulous Oil have been given a bit of a makeover and now have a brand new look. I adore the texture of this cream, as soon as it comes into contact with my skin, it has disappeared and behind I am left with what can only be described as an incredible scent and amazingly soft to the touch skin. I am not usually someone who can be bothered with a body cream, it is a faff, but I am part way through the tub of this one, so it has definitely ticked a box. Retailing at £32 for 200ml, I am debating stocking up! Now as it is an oil it acts like an oily, so you need to take care in the shower. That said, I adore the scent and I adore the feeling on my skin once I leave the shower. After using my skin is so sweet-scented and smooth to the touch. I have also used it in the bath for an extra treat and even dry skin on my shins, knees and elbows seems to have been almost eradicated using this. Priced at just £19 for 250ml I have bought a backup. For me, this is a treat in a bottle and something to be used when your skin needs some TLC, for a pamper session or just because. Luxurious and thick textured you literally need just one or two pumps to cover your arms or legs and when it comes into contact with the skin, it melts and disappears much quicker than I had expected. After using there is no trace it was ever on the skin, but the soft Shea Butter scent does remain. Priced at £23 for 250ml. What I love about this oil is that it comes in a glass bottle with a spritz, so you don't have to pour it into your hands and then transfer it to your skin, only to find half of it is on the carpet and the other half dribbling everywhere. Just spritz onto the skin where you want it the most and then massage into the skin. As it is an oil, I was surprised to find there is no greasiness left on the skin, it absorbs pretty quickly and leaves no trace behind. I have used this oil on my body, legs, hands, arms and even on my feet and it is just delightful. Priced at £26 for 100ml it is stunning. It is worth noting that L'Occitane use organic Shea Butter within their products and since the 1980's they have worked with women in Burkina Faso to ensure they have the highest quality product (read more about this here). Shea Butter works to replenish, nourish and heal the skin by locking in nutrition and if like me you have dry patches of skin, the use of Shea Butter works incredibly well. For me, this is another amazing range from L'Occitane and I would love to know if you are as big a fan as I am of the brand? I'm not a fan of the brand because of their animal testing (despite the website saying otherwise, they make products in China where animal testing is mandatory) however, I do enjoy other products with shea butter for the moisturising and luxurious feel. I love this range.. Shea butter is one of my favorites.. I know the range but have never tried any of it - your enthusiasm for it is making me think strongly about popping into our Cardiff shop! I love L'Occitane as well. That body butter sounds amazing! One of the reasons why neither of us use oils like this is the greasiness. If these aren't greasy, then they're probably worth a try! I like the sound of the body cream the most it sounds lovely. I don't usually use their products. You've made me want to try this range!! I've never tried anything from them before! This is by far one of my fave body ranges, I need to try the body oil though! Loving the sound of the Shea Fabulous Oil! Ooooo they look incredible! I bet they smell fab! I've always wanted to try the Shea Shower Oil. I should get this as a gift for myself. I love these products and I love the shower oil too!!! This looks like a lovely collection - I love a good body butter, too!